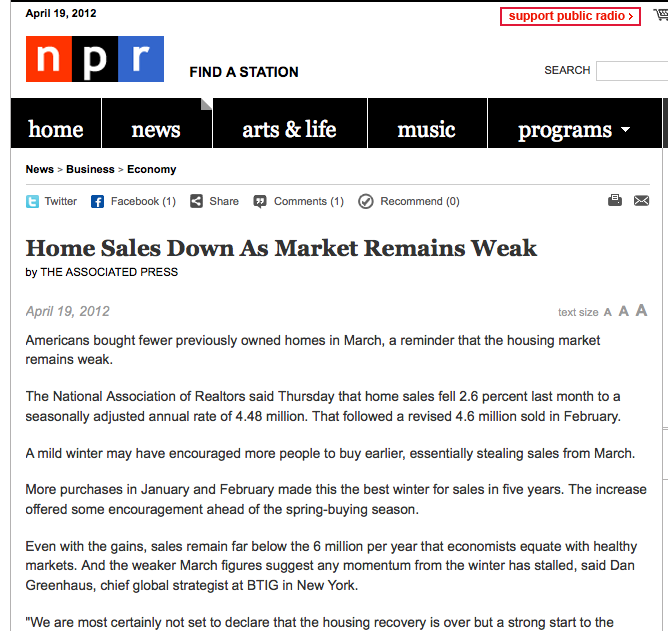 April 19, 2012 Americans bought fewer previously owned homes in March, a reminder that the housing market remains weak. The National Association of Realtors said Thursday that home sales fell 2.6 percent last month to a seasonally adjusted annual rate of 4.48 million. That followed a revised 4.6 million sold in February. A mild winter may have encouraged more people to buy earlier, essentially stealing sales from March. More purchases in January and February made this the best winter for sales in five years. The increase offered some encouragement ahead of the spring-buying season. Even with the gains, sales remain far below the 6 million per year that economists equate with healthy markets. And the weaker March figures suggest any momentum from the winter has stalled, said Dan Greenhaus, chief global strategist at BTIG in New York. “We are most certainly not set to declare that the housing recovery is over but a strong start to the spring selling season is simply not in the data,” said Greenhaus. There were some signs of modest improvement. First-time buyers, who are critical to a housing recovery, rose to 33 percent of all purchases last month. In healthy markets, they make up at least 40 percent. The supply of homes on the market fell 1.3 percent last month to 2.37 million. A decline in the supply typically encourages more people to put homes up for sale. That generally improves the overall quality of the homes on the market, which drives prices higher. And the number of homes at risk of foreclosures declined, making up 29 percent of sales. That’s down from 34 percent in February but still high. 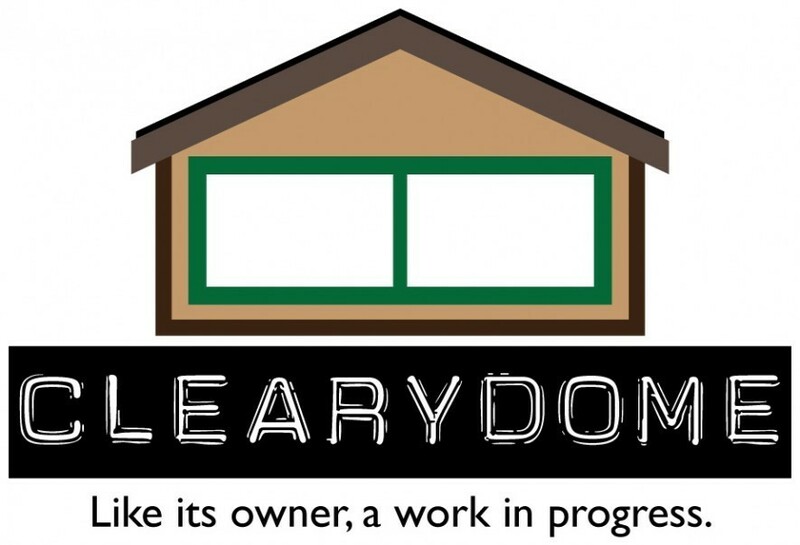 In healthier markets, foreclosures typically make up less than 10 percent of sales. There have been other signs in recent months that the housing market is slowly improving. Builders are laying plans to construct more homes in 2012 than at any other point in the past 3 ½ years. More jobs and a better outlook among buyers could also make 2012 the first year since 2008 that construction adds to the U.S. economy. The unemployment rate has fallen from 9.1 percent in August to 8.2 percent last month. Employers added an average of 212,000 jobs a month from January through March. Mortgage rates are hovering just above record lows. And the median sales price of homes rose for the second straight month in March, to $163,800. Yet many can’t qualify for loans or meet higher down-payment requirements. Even those with excellent credit and stable jobs are holding off because they fear that home prices will keep falling. Sales are measured when buyers close on homes. Some deals have been scuttled before the closing after banks declined mortgage applications, home inspectors found problems, appraisals showed a home was worth less than the bid or a buyer lost a job.